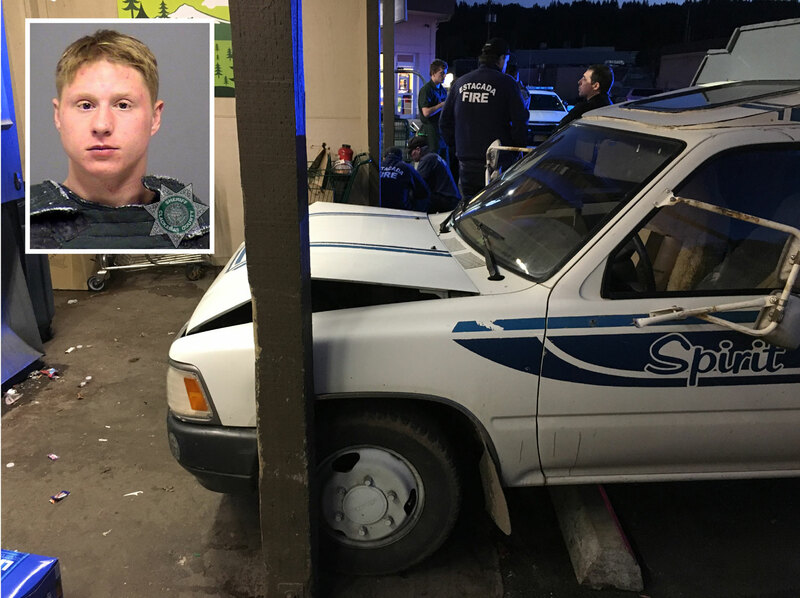 At approximately 7:16 p.m. on Sunday, March 17, 2019, Clackamas County Sheriff’s Office deputies contracted to the City of Estacada responded to the report of a disturbance in the parking lot of the Harvest Market in Estacada, OR. Witnesses in the area reported that Simmons approached and shoved one woman and then asked her to call the police. Simmons then walked across the parking lot toward a 71-year-old woman and punched her in the face. The woman fell down and was briefly unconscious. Simmons then entered her vehicle in what appeared to be an attempt to steal it. Bystanders in the parking lot came to the injured woman's aid and stopped Simmons from leaving the location. They moved the victim out of harm’s way and tried to remove the keys from the vehicle. During the struggle with the bystanders, Simmons drove the truck forward where he struck a bottle return machine. A photo of the damaged vehicle is attached to this release. Several bystanders were then able to remove Simmons from the truck and held him down on the ground until the first deputy arrived. Simmons was placed in handcuffs without further incident. Estacada Fire and American Medical Response personnel arrived at the location to render First Aid to the injured woman. Simmons also received First Aid for his cuts. The victim suffered bumps and bruises, but was able to leave the scene with family members. 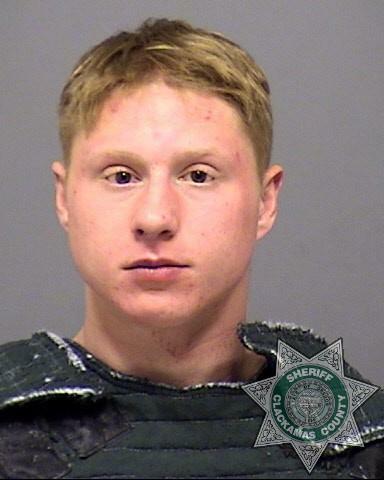 After completing an investigation, Simmons was transported to and booked at the Clackamas County Jail on charges of Assault III, Unlawful use of a Motor Vehicle, Criminal Mischief II and Reckless Endangering. His booking photo is attached. His complete booking info can be found here. Bail was set at $75,000. Dash-cam video of the deputy arriving at the scene can be downloaded from this Dropbox address.